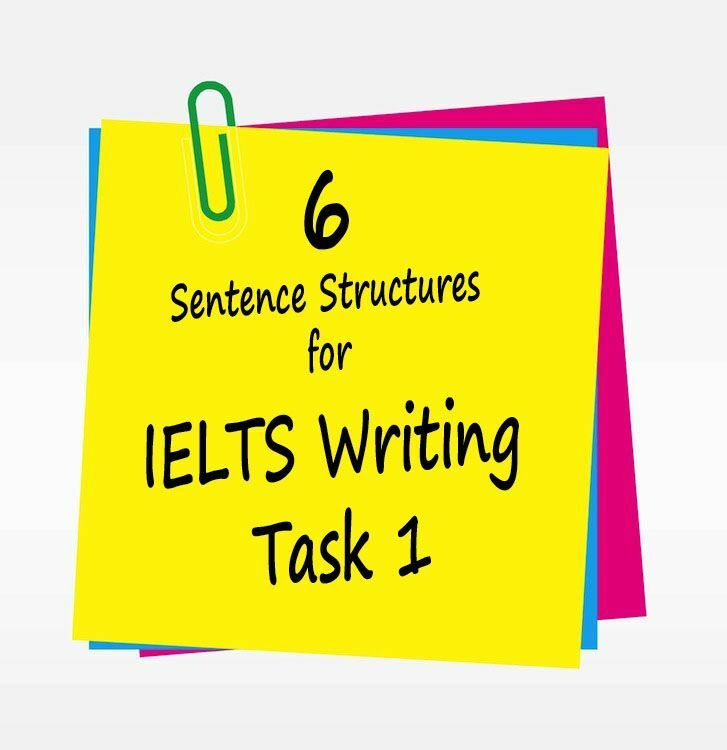 A rich variety of sentence structures is one of the most important key to get a 7 or higher for your grammar score in IELTS Writing Task 1. 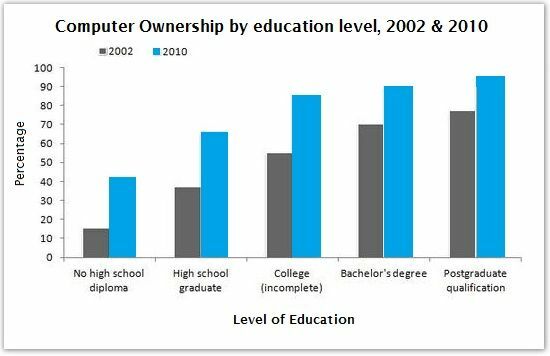 As far as you know, you will most likely be given a graph, chart, diagram or table to write about. 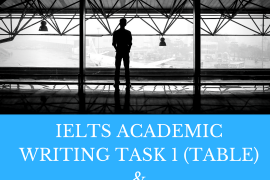 Firstly, you have to choose the most important figures/features to write about and make a comparison among them to meet Task Response requirement in IELTS Writing Task 1. Below are useful high – level sentence structures which you can utilize to get a higher score for IELTS Writing Task 1. In comparison with the number of factories in Japan, which witnessed a dramatic increase to 120,000 in 2010, the quantity in Korea plummeted to 12,000 at this time. Plus, they all use high-level vocabulary, most assuredly earning an 8 or 9 in that category. 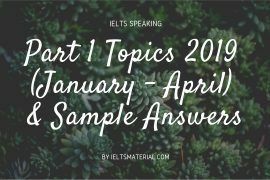 To see more about IELTS Writing Task 1, click here. To get more latest posts from our blog, please subscribe us or like us on Facebook..
Hello! could you pls send me the link to download all the latest materials for practice! 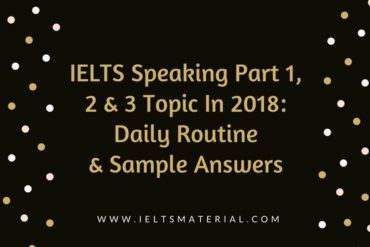 Hello Sir , i want to get 7.5 bands in ielts , please send me great vocabulary with sample writing task 1 and 2, moreover i want to improve my speaking skills . Sir, before that i drop my email in the comment box below, but nothing answer me, again sent me ielts material.Please it’s my request…. i have ielts exam after 4 days can you give my some key point materials on haard196@gmail.com . Please check your email for Cambridge Vocabulary for IELTS & all the latest IELTS materials for Academic Module (IELTS lessons, books, sample answers, etc) to help you hike up your IELTS score. hi , thank you for providing writing samples. they are very useful in my writing amelioration. I just want to request to provide some more writing samples with 7 8 bands. Thank you. Thanks for the useful tips. I have problems with my pronunciation. How can I improve it, I come from Vietnam. Please help me. Thank you very much. sentence 5: Why is it “AN dramatic increase”. I though it should be “A dramatic increase”? I’m terribly sorry for the typo and thank you so much for letting us informed of this. Hey ! could you please send me pdf or ebooks for ielts preparation. I have just 15-20days to prepare. I find difficulty in reading and writing. Also I find problem in structuring and framing sentences in speaking. Can you please help me out in this. What ever books and pdf which culd help me in my preparations. kindly send me all those. Please check your email for the link to download useful IELTS Materials which I suggest you dig in to get a high score in IELTS. Hi! Do you gave a digital copy of the book authored by Ben Worthington which is titled “sentence guide task 2”. please send me a copy. I would be surely glad if you do. Please check your email for the links to download this book & other IELTS materials (IELTS lessons, books, sample answers, etc) to help you familiarize with IELTS & be well-prepared before sitting the IELTS test. hi i need some tough level books for lestening and reading plz help me to get. I just sent you the links to downloaduseful IELTS materials (IELTS lessons, books, sample answers, etc) to help you familiarize with IELTS & be well-prepared before sitting the IELTS test. Hi, Can you please send me the IELTS course materials for achieving a band 7+. plz send me all the new practice material in sonikashah29@gmail.com as i need to score high in ielts. I am interested in achieving a high band 7+. Please email me the ILETS material for improving my band. Please do give me the tricks for improving my writing skills in one pdf file. Thank you IELTS Material Team. You are doing an excellent job. Its seems a very good guide for preparing IELTS. I got 6.0 Band but i want to 7.5 up in each modules please help me out for this. Can i have some writing books for me please ? Can you please send me the listening audio? I am weak in listening part. Please check your email for the links to download your requested material. I tried IELTS GT bot got 6.5 need to improve overall performance. I got the materials, thank you very very much! I appreciate your help! Hi, please check your email for your requested materials. For Writing, I will post some useful tips and books to help IELTS learners with IELTS Writing Task 1 and Task 2 soon. Please include me in your list of people that you are going to send. Thank you! 😀 GENERAL TRAINING. Also in reading portion. Please check your email for the links 🙂 Thanks!